Home › Dental Crowns › Dental Crowns and Onlays Mean No Metal in Your Mouth! Dental Crowns and Onlays Mean No Metal in Your Mouth! At Nashville Center for Aesthetic Dentistry, we want to create and maintain smiles that are not only beautiful, but functional as well. We have many clients with old amalgam (metal) fillings or dental crowns who are looking for an upgrade. 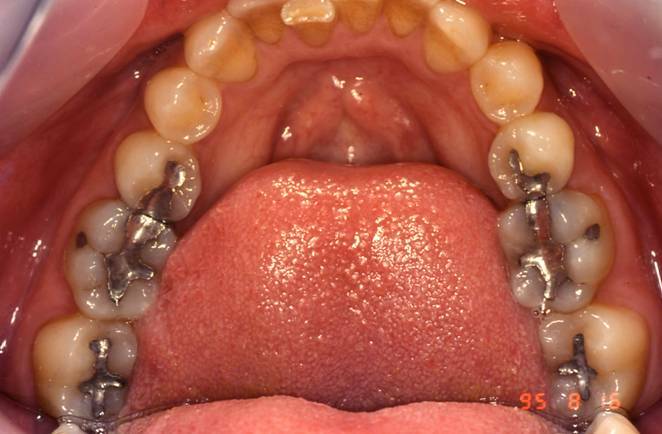 No one likes flashing silver when they smile, even if the metal is in the back of your mouth. 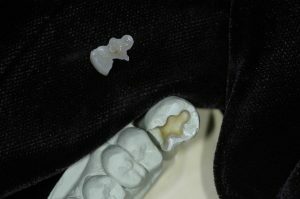 Porcelain crowns are “caps” or coverings that are placed over damaged or decayed teeth. They look and feel just like natural teeth and are made to match the color of surrounding teeth. A porcelain crown from Dr. Dennis J. Wells and Dr. Daniel K. Weese is indistinguishable from your real teeth! Onlays are a tooth restoration option that is usually suggested when the decay or damage in a tooth is too large for a traditional filling, but small enough not to require a full crown. Onlays are fabricated in our dental lab and are also called “indirect fillings” or “partial crowns.” An onlay is made of composite resin or porcelain and is shaped to restore the damaged or missing part of the tooth. 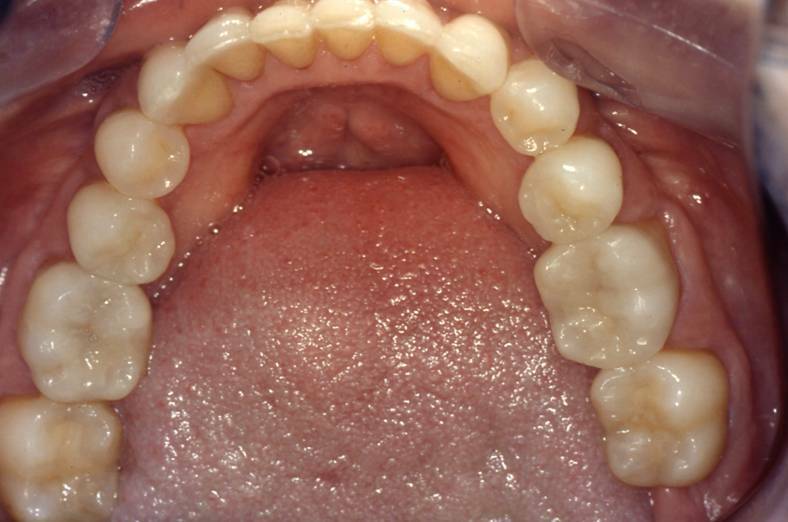 It is bonded to the tooth and restores the tooth’s natural shape and function. In both crown placement and onlay procedures, the tooth is first prepared—old restorations are removed and any remaining decay is cleaned out. Temporary crowns or onlays are placed as the permanent restorations are being fabricated. A second visit happens several weeks later during which the final restoration is placed and the bite is fine-tuned. We hope this has answered some of your questions about crowns and onlays, some of the most common tools we use in performing extreme makeovers and creating beautiful smiles for our Brentwood and Nashville patients. If you have questions or would like to discuss your smile and dental goals, contact Nashville Center for Aesthetic Dentistry today!